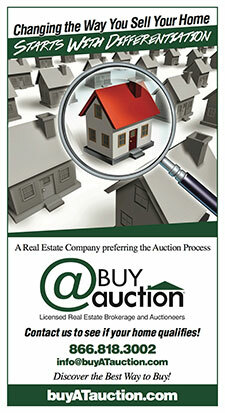 BrokerPost.com is re-inventing the real estate auction online. For over 20 years the principals of BrokerPost.com have been leading the way in traditional real estate auctions. This new website demonstrates the evolution of the traditional real estate auction with online capabilities providing buyers and sellers with the power of the Internet to market and buy real estate. The full capabilities of the online auction will be available within the next few weeks. We collect and store information that you voluntarily provide to us as well as data related to your Site visit and usage. We collect personally identifiable information (including, but not limited to, name, address and phone number) that is voluntarily provided to us by you. For example, you voluntarily provide personally identifiable information when you send us an email. We use collected information to make available and to improve our high standard of reliable services. We use such information to respond to inquiries or service requests and monitor such responses; to provide information about and market our products or services. We do not sell or rent personally identifiable information to third parties who are not affiliates of BrokerPost.com. We may disclose personally identifiable information to appropriate affiliates of BrokerPost.com, including strategic alliance affiliates, to respond to a request for service or the provide information about available products or services, and to third party service providers. We may share aggregate information with certain third parties such as advertisers, national industry organizations, and prospective affiliates. In addition, we reserve the right to disclose aggregate information and personally identifiable information to third parties as required or permitted by law and when we believe that disclosure is necessary to protect our rights. UNDER NO CIRCUMSTANCES SHALL BROKERPOST.COM BE LIABLE FOR ANY SPECIAL, INCIDENTAL OR CONSEQUENTIAL DAMAGES THAT RESULT FROM THE USE OF THE INFORMATION OR MATERIALS ON THIS SITE, EVEN IF PROMOTION REALTY, INC. OR AN AUTHORIZED REPRESENTATIVE OF PROMOTION REALTY, INC. HAS BEEN ADVISED OF THE POSSIBILITY OF SUCH DAMAGES. This policy is governed by the laws of the State which we are conducting an marketing event without giving effect to any principles of conflict of law.